The earliest mummies are typically associated with the Old Kingdom of ancient Egypt, but as an intensive examination of a 5,600-year-old mummy confirms, the methods used for this iconic funeral practice date back to well before the age of pharaohs. The practice of mummification and the techniques used for embalming (such as the use of resins) were thought to have originated in ancient Egypt’s Old Kingdom (also known as the “Pyramid Age”) around 2500 BC. But this interpretation was challenged by a 2014 analysis of funeral textiles found at the southern Egyptian site of Mostagedda, which pushed back the origin of Egyptian mummification by over 1,500 years. New research, published today in the Journal of Archaeological Science by the same group of scientists, furthers our understanding of how and when the practice of mummification was developed in ancient Egypt, including the agents used in the embalming process. The new study affirms the origin dates proposed in the previous work, but unlike the 2014 analysis of funerary textiles, this latest research was conducted on an actual mummy. And that’s significant. “Though the mummy is not the earliest burial to reveal the formative embalming agents dating back to about 4300 BC, it is the first intact, surviving individual, to reveal what would become a key part of the iconic process that would later become Pharaonic Egyptian mummification,” Stephen Buckley, an archaeologist from the University of York and a co-author of the new study, told Gizmodo. The mummy in question is known as Mummy S. 293 (RCGE 16550), and it has been known to scientists for well over a century, having been on display at the Egyptian Museum in Turin since 1901. This mummy is unique, however, in that it has never been exposed to conservation treatments; its untainted condition makes it an ideal subject for scientific analysis. 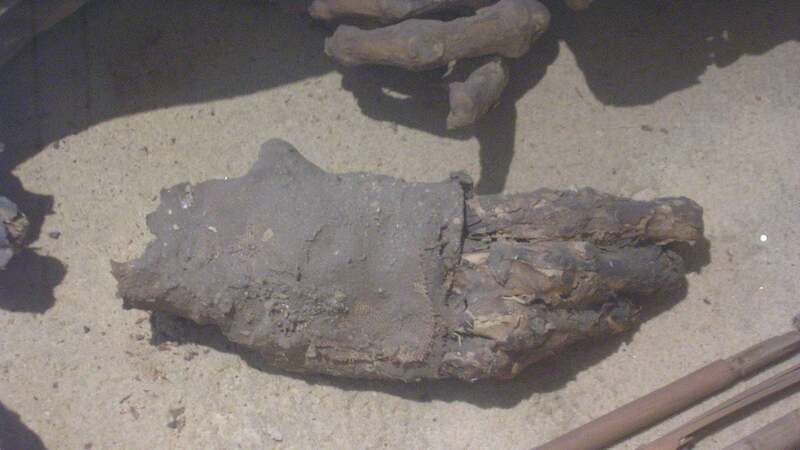 Previously, scientists had mistakenly assumed that the Turin mummy S. 293 had been naturally mummified by hot and dry desert conditions, a process known as desiccation. The new research shows this isn’t the case—the mummy was produced by embalmers who employed a mixture of plant oil, heated conifer resin, an aromatic plant extract, and and a plant gum/sugar. Together, this mixture exhibited potent antibacterial properties. “For the first time we’ve identified what can be described as an Egyptian ‘embalming recipe’—essentially the same antibacterial embalming recipe that would become a key and vital part of mummification during the Pharaonic period from around 3100 BC,” said Buckley. Using microscopes, the researchers examined the textiles surrounding the mummy, while a chemical analysis was performed to identify the ingredients of the embalming recipe. A genetic analysis was done to identify both human and non-human DNA (such as plant material) associated with the mummy. Disappointingly, no human DNA could be extracted from the specimen, likely the result of excessive exposure at the museum. Radiocarbon dating placed the origin of mummy to between 3650 and 3380 BC. Using other evidence, such as known changes to Egyptian textile technology, the authors narrowed the date to between 3650 to 3500 BC. An analysis of tooth wear suggests the mummy was between the age of 20 and 30 when he died. The embalming recipe was startlingly similar to the one used 2,500 years later, when ancient Egyptian mummification was at its cultural peak. This similarity points to a shared view of death and the afterlife about 500 years before Egypt came into being as the world’s first nation state, said Buckley. Indeed, this embalming technique dates back to the Naqada stage of Egyptian prehistory, which is substantially earlier that the Pharaonic Period. 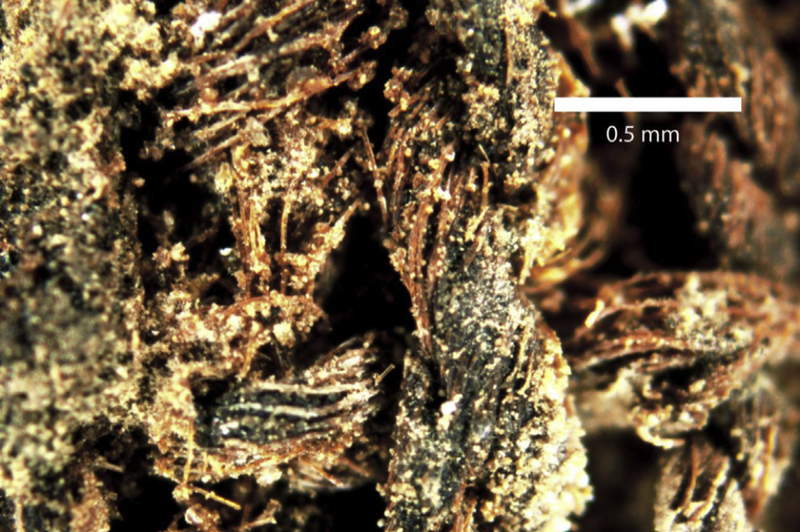 But the analysis also revealed the use of an antibacterial conifer resin that isn’t native to Egypt. This compound must have been imported, therefore, likely from the Near East in what is now Israel/Palestine.